Warm up on those chilly nights in our Feathered Bolero, this on trend jacket is a perfect complimentary piece for a evening dress or formal dress occasion. A true wardrobe essential, our Feathered Bolero has been designed for both style and comfort. 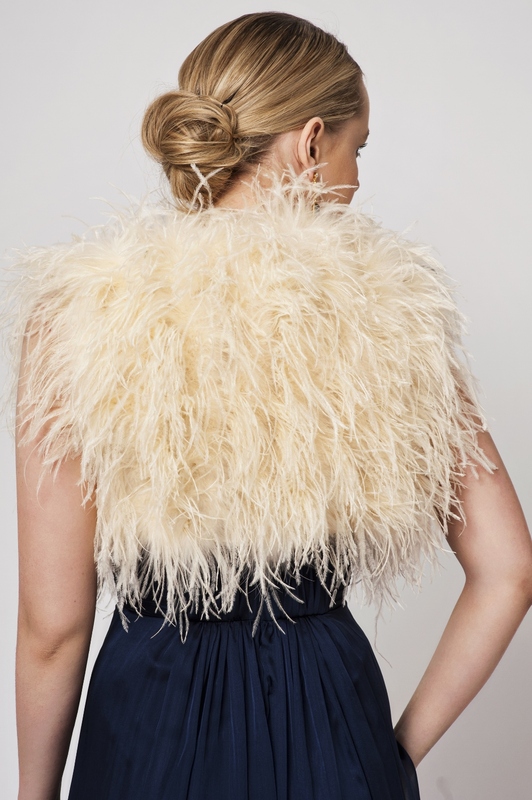 Fabricated from luxe ostrich feathers, this versatile piece will add an element of luxury and elegance to any outfit. This on trend piece compliments both day and night attire, and comes in two classic colours, black or cream.